The company has officially announced that a new fully functional clinical trial centre will be opened in Q1 2019 in Chicago USA and will function in adherence with ICH-GCP standards as well as FDA and EFSA guidelines. Atlantia will at that stage occupy over 8000 sq. ft. of dedicated clinical trials facilities in both the United States and European Union. Would you like to get know more about Atlantia? We are part of exhibitor list at Supply Side West 2018, please come to visit us at booth number 3620! Atlantia Food Clinical Trials Ltd is a world class dynamic company providing clinical studies expertise for the food, beverage and supplements sector. 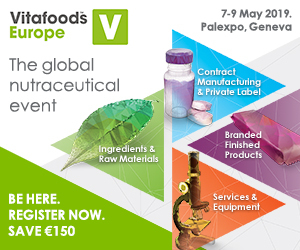 Atlantia delivers a comprehensive end-to-end solution for human intervention studies in functional ingredients in foods & beverages, nutraceuticals, medical foods, dietary supplements and infant formula. The Atlantia team has over 10 years of experience providing clinical trials and research in food for health and it stands out for a highly flexible structure, with capabilities right across the spectrum of functional food and beverage categories, such as dairy, probiotic, proteins, infant-specific foods, vitamins/minerals and medical foods. Their clinical expertise main areas are digestive health, sports performance, healthy ageing, mental and cognitive health (stress, mood), cardiovascular and respiratory health, bone and joint health, immune health, infant-specific nutrition, women’s health, skin health, weight management, among other areas. The company has a dedicated team of project managers, research nurses and clinical assistants involved in running the clinical trials, and have a database of healthy volunteers, elderly, subjects with mild GI conditions and athletes now over 14000 subjects. Atlantia’s headquarters are located in Cork, Ireland, but it will open an additional clinic site, in Chicago USA in Q1 2019. All studies will be conducted in accordance with ICH-GCP standards and our dedicated staff will continue to deliver highest quality studies for our clients the ability to offer multicentre trials to our current and prospective clients, allows Atlantia to better meet the needs of this everchanging and demanding market. This new facility will bring to over 8000sqaure feet of dedicated nutritional clinical trials space and as is the Cork clinic, will offer subjects a comfortable and welcoming environment in which to participate in our research. Atlantia continually seeks to improve their capacity for conducting innovative high-quality clinical trials adapted to sponsor’s needs. We pride ourselves on our flawless track record in delivery on time and on budget. If you require any information in relation to you project, please feel free to contact us by email or simply visit our highly informative website. Alternatively drop by our booth (#3620) at SupplySide West in Las Vegas on 8th or 9th November at the Mandalay Bay hotel. We will also be available at the Microbiome R&D forum in San Diego on 29th /30th October, or the Microbiome Human Nutrition conference at the Hilton Boston Woburn Hotel in Boston on the 14th-16th November.